Unrecognized states are places that do not exist in international politics; they are state-like entities that have achieved de facto independence, but have failed to gain widespread international recognition. Since the Cold-War, unrecognized states have been involved in conflicts over sovereign statehood in the Balkans, the former Soviet Union, South Asia, the Horn of Africa, and the South Pacific; some of which elicited major international crises and intervention, including the use of armed force. Yet they remain subject to many myths and simplifications. Drawing on a number of contemporary and historical cases, from Nagorno Karabakh and Somaliland to Taiwan, this timely new book provides a comprehensive analysis of unrecognized states. It examines their origins, the factors that enable them to survive and explores their likely future trajectories. But it is not just a book about unrecognized states; it is a book about sovereignty and statehood; one which does not shy way from addressing crucial issues such as how these anomalies survive in a system of sovereign states and how the context of non-recognition affects their attempts to build effective state-like entities. Ideal for students and scholars of global politics, peace and conflict studies, Unrecognized States offers a much needed and engaging account of the development of unrecognized states in the modern international system. Nina Caspersen is lecturer in peace and conflict studies at Lancaster University. "An essential addition to the literature, which dispels the myth of unrecognised states as dark spots on the world map." "The real strength of this book is that Caspersen takes unrecognised states on their own merits as subjects in their own right." "An extremely interesting study and an invaluable addition to the literature on unrecognised states." "A theoretically well-grounded, empirically extremely rich, and highly policy relevant analysis of the dynamics of unrecognised states in the international system. This book sets the standard in a debate that will remain on the international security agenda for years to come." 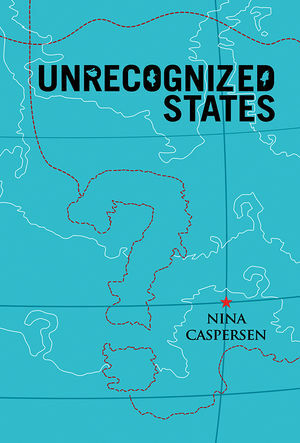 "With empirical detail and theoretical verve, Nina Caspersen explores a perplexing feature of contemporary global politics: the persistence of countries that have achieved de facto sovereignty but lack international recognition. Caspersen provides a rich tour of this neglected aspect of international affairs and shows convincingly why not-quite-countries ought to be of even greater concern to scholars and policy practitioners." "A fascinating study of an important topic which has not received the attention it deserves. Drawing on significant fieldwork, this book is original, ambitious, and a model of clarity. Caspersen's focus is contemporary and her scope is global. A contribution to both comparative politics and international relations." "A welcome contribution to the literature on sovereignty and statehood. Theoretically informed, historically rich and sensitive to variations among cases, this clear and lively book is particularly strong on the interconnections between internal and external dynamics in the development of statehood without recognition."